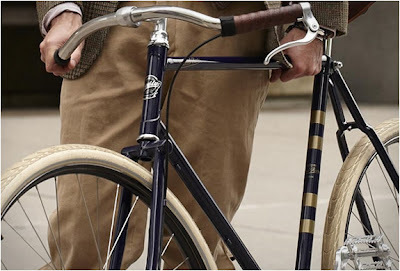 Perth Vintage Cycles: Limited Edition Pashley Guvnor release in 2011. 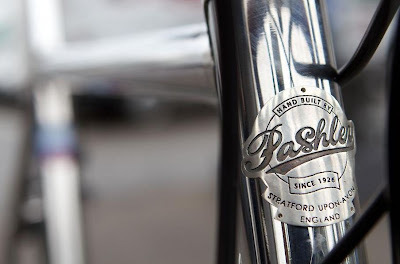 Limited Edition Pashley Guvnor release in 2011. 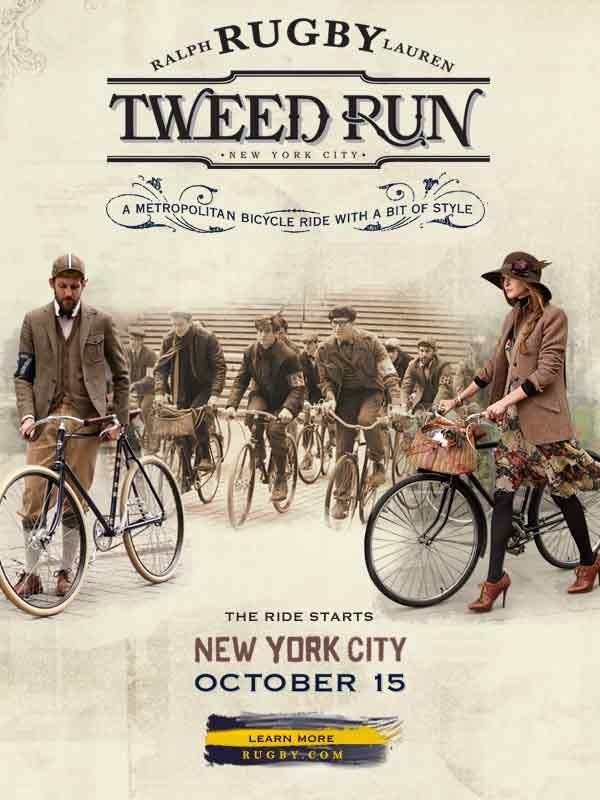 Due to the increased interest in "Tweed Run" and "Tweed Ride" cycling events in the US this year, Ralph Lauren Rugby (clothing) has introduced a collection of tweed clothing that they encourage to be worn during the Tweed events. As you would expect the clothing is well made, great looking, and come with a price to match. 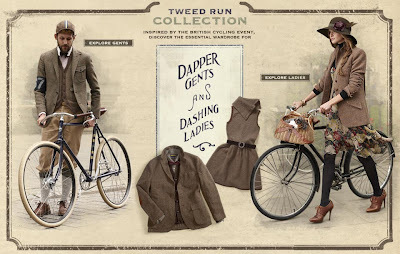 Ralph Lauren Rugby 2011 Tweed Run collection. 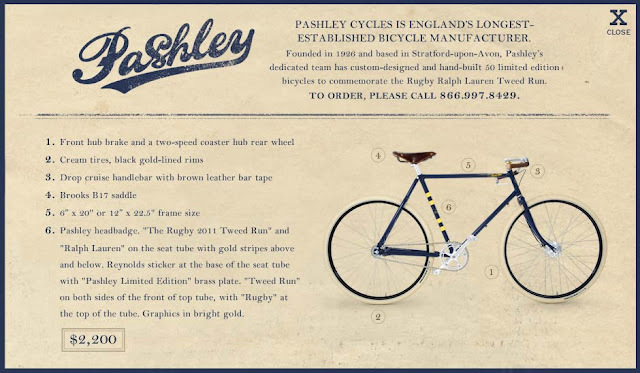 The interesting part to all of this is that Ralph Lauren has commissioned Pashley cycles of England to design and produce 50 limited edition Pashley Guv'nor bicycles to mark the clothing release. I have just located an image of one of the new Guv'nors......and mighty fine they look. What a great marketing angle, and what a lovely bicycle to add to your stable! The framework of the limited edition Pashley Guvnor. The technical notes are scarce, so far all we know is what’s in the image above: “front brake, two speed coaster hub rear, cream tires, black gold-lined rims, Brooks B17, etc.” ...and doesn't the gold banding on the seat tube look great! Here is the advertisement for the Limited Edition Guv'nor below, and with all of the excitement generated by the Tweed events across the US I can only imagine that getting your hands (and buttocks) onto one of these gems will be almost impossible.....although if given the chance I'd certainly snap one up for the advertised price of US$2 200. 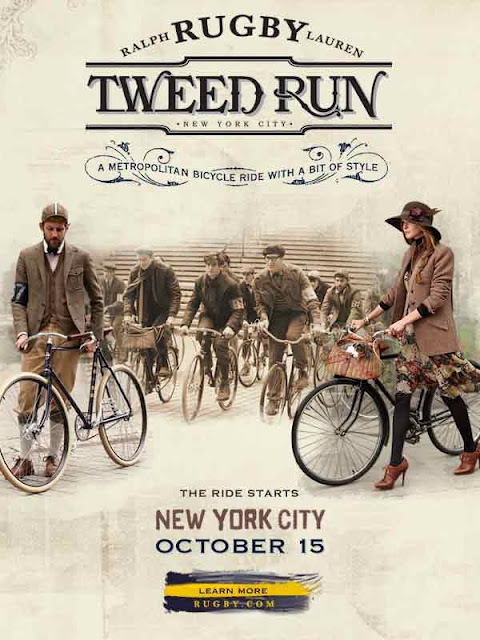 Below is the advertisement for the Ralph Lauren Rugby sponsored Tweed Run New York City 2011, marketing at its best! ...and whilst we're on the subject of new Pashley products..... Please have a look at a new Pashley release captured at Eurobike this year. 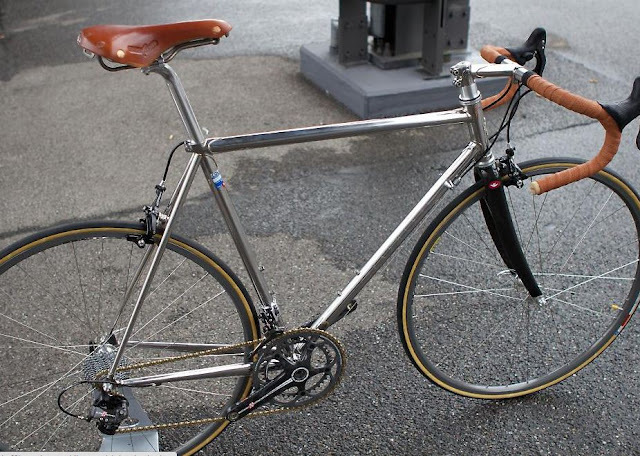 It's called the 'Sprinter' and re-intoduces the famous line of GB bicycle components. The overall look.....although this image doesn't do it justice. 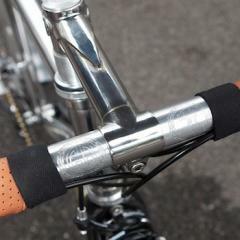 Solid silver Pashley head badge. 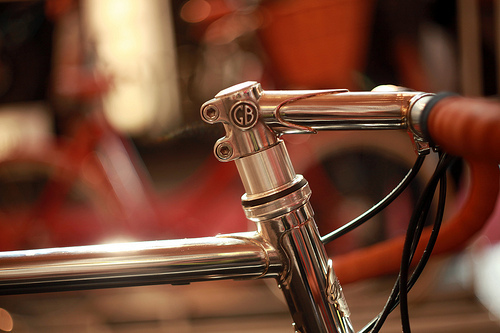 The above image is of the GB stem on the Pashley "Sprinter" which is simply.......beautiful, I'm sure you'll agree. Sit back and watch the frenzy if GB extend and release their range of traditional cycling components.